Holidays to Gambia up to -70% off To take advantage of these offers, join now for free! Enjoy luxury holidays to the Gambia with Voyage Prive and discover its idyllic palm-tree scattered beaches and extraordinary sea views that stretch as far as the eye can see; book online today. The Gambia is quickly becoming a top luxury holiday destination for savvy travellers who crave an escape from the gloomy British weather, due to its exceptionally beautiful climate all year round. 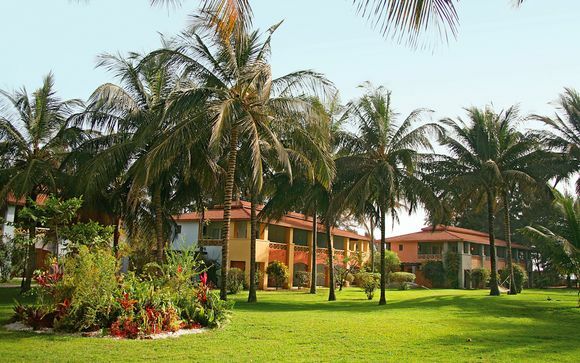 Whenever you choose to visit the Gambia, you can rely on this country to surround you with the sun as you walk along its stunning coastline, and to offer you beaches laden with white sand and crystal clear sea. 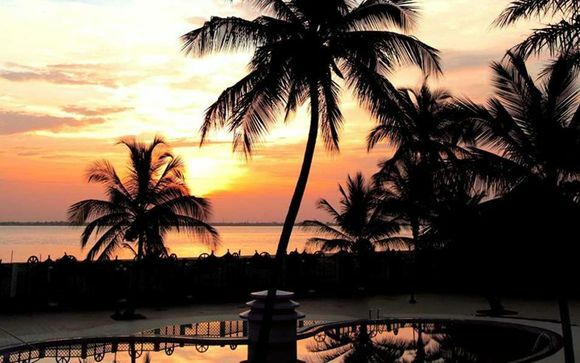 Enjoy the unrivalled beach views from your hotel, explore further afield into the depths of the Gambia’s rich culture, or simply stroll along the sand with your loved one and take in the romantic atmosphere of this balmy demi-paradise. 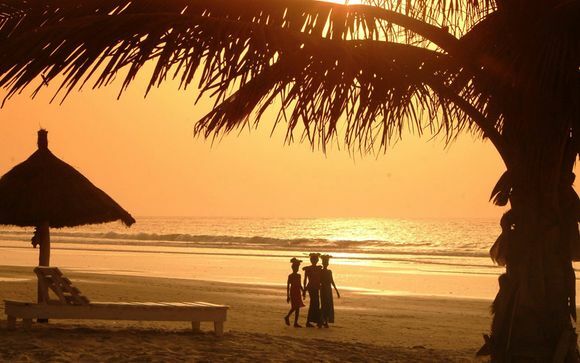 Although the Gambia is extremely popular with couples, it also makes an ideal family holiday destination, which strikes the perfect balance between fun for children and relaxation for adults. Beyond its beautiful beaches, the Gambia offers a host of exciting attractions to discover, including the renowned Abuko Nature Reserve, which houses an array of African wildlife including monkeys and reptiles to delight children and adults alike. The Gambia’s eclectic markets, such as The Albert Market in Banjul, are another way to soak in the essence of this country’s fascinating culture. Whilst wandering around the markets, you can enjoy sampling the local cuisine or buying handmade souvenirs crafted by the people of the Gambia, so that you can take an authentic piece of this country home with you. Whatever you decide to do, when the day is over, our handpicked offers grant you the opportunity to take your experience to the next level, by providing you with luxury accommodation and service that will help you to unwind and rejuvenate, without the great expense. The Gambia is never short of things to do and places to explore, but its stunning landscapes and idyllic beach views will no doubt encourage you to relax and indulge your senses during the day too. We can help you achieve a level of peace that you only dream of with our all-inclusive holiday package options so that you can consider yourself stress-free during your entire stay. 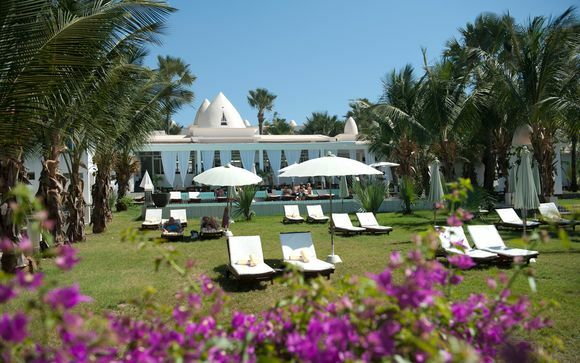 Many of the resorts also include spas, where you can tailor your relaxation experience to suit your needs by choosing from a vast selection of treatments, allowing to enjoy the Gambia to its fullest. Whether you envision yourself sunbathing on the unspoiled coast or exploring the bustling markets, our exceptional discounts on hand-picked Gambian hotels will allow you to upgrade your holiday so that you can experience luxury that will make it truly unforgettable.